Tamaryn channels the spirit of 1980s 4AD with the help of a new collaborator and new producer. Tamaryn returns with a wistful platter of dream pop, her third album for Mexican Summer. She has the playfulness of a painter, drawing from a palette of dream pop, shoegaze, and psychedelia. On this LP, Tamaryn does a fair imitation of 4AD in the 1980s, echoes of This Mortal Toil and Cocteau Twins abound. Expect a fair amount of swirling guitars and effects contrasted by ethereal vocals. This new album introduces some new faces: Shaun Durkan (Weekend) jumps on board as a collaborator and Jorge Elbrecht (Ariel Pink, Violens) is in as producer. Stylistically, it’s a departure from the more guitar-oriented approach of Tamaryn’s previous efforts. Sonic texture plays a vital role on this album and the exquisite settings take Tamaryn’s music to new heights. Cranekiss calls to mind the wistful, waning days of summer, as the season languishes in old age and autumn sits patiently on the threshold. The album starts with the title cut, its swirl of instruments and vocals evocative of the late August/early September humidity, so common to the temperate climes. It’s a season of transition and change, students embark upon a school year and the NFL begins its annual campaign of downplaying the traumatic effects the game can have on players. There’s a gossamer sheen that hangs over the tracks on the LP. Tamaryn’s vocals, along with the production, at times recall the work of FKA Twigs. But there’s another artist who seems to share similar sensibilities: Lana Del Rey. Depending one’s social circle, it might be gauche to mention Lana Del Rey, but both artists conjure the dreamlike, wondrous qualities associated with the golden hour. 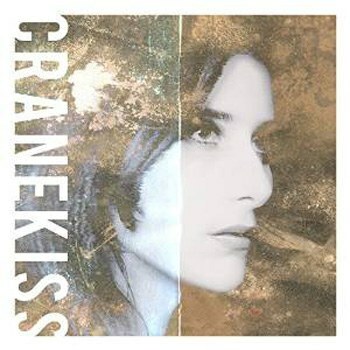 But Cranekiss is also colored by the muted, cooler shades of dusk. It’s an effect that works, there’s a touch of wistfulness that accompanies the setting of the sun, another day complete and less time to complete one’s goals. It’s a mood that works with the sense of romantic longing imbued in this album. It’s not the total focus, just the sort of stray feelings that flit through one’s mind when one is alone with one’s thoughts. I can’t help but be reminded of the first movement of Maurice Ravel’s Gaspard de la nuit for the sense of playfulness and mystery surrounding the record as well as the tinge of darkness. It works with the sense of wonder and gothic decadence captured on the record. It’s not dissimilar to the mood of an Opal or Mazzy Star album. It works well in evoking the sound of 4AD, as there’s something slightly fey about the vocals of Elizabeth Fraser. And parts of the album recall Fraser’s haunting take of “Song to the Siren” by Tim Buckley on It’ll End in Tears, the first album by This Mortal Coil. Tamaryn experiments with texture incorporating synths, drum machines, and samples in addition to usual suspects of dream pop and shoegaze. It’s an approach the helps each cut of the album standout and prevents listener fatigue. The drums on the fadeout of “Softcore” are one notable instance where varying the timbre succeeds to great effect. It’s not without pop instincts, the title track is rush of sugar and endorphins and “Fade Away Slow” sounds like a missing cut from a This Mortal Coil album. It’s a mature and thoughtful piece of work, one that will surely be appreciated as the temperatures dip, the leaves change color, and the calendar moves to autumn and winter soon after.